Novoflex is a German maker of camera accessories. It is renowned for its macro bellows and makes tripods and tripod heads, flash systems, tilt-shift bellows, lens adapters and other parts. The company started in 1948. In 1950 it made camera bodies of and camera lenses for Leica cameras. In 1951 it started making macro bellows. 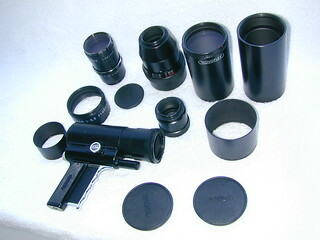 The company's production of lenses was switched from Leica lenses to special lenses, for example its "Rapid Focus" lenses (called "fast-shot" lenses in Germany) or its Novoflexar macro bellows heads. This page was last edited on 9 January 2017, at 21:45.